The Creative Writing program begins its fourth year of USpeak, a series of six literary events at the Oasis Deli in the Whitten University Center of the Coral Gables Campus. 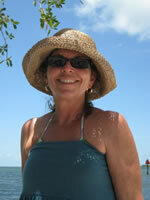 Each evening features a local writer from the University of Miami or greater Miami literary community. This year, USpeak pays tribute to the old school poets of Miami, poets Adrian Castro, Carolina Hospital-Medina, and Geoffrey Philp who have been a part of the Miami poetry scene for over twenty years. Come and hear Adrian and Geoffrey talk about the bicycle poets back in the day! Audience members are also invited to step up and share their poems, stories, and music at the Open Mic. USpeak is recorded and available to listeners on iTunes, and is sponsored, in part, by University of Miami's Creative Writing Program, English Department, American Studies Program, and Auxiliary Services. Light refreshments will be served. Adrian Castro is a poet, performer, and interdisciplinary artist. Born in Miami from Caribbean heritage which has provided fertile ground for the rhythmic Afro-Caribbean style in which he writes and performs. He is the author of Cantos to Blood & Honey (Coffee House Press), Wise Fish (Coffee House Press, 2005), Handling Destiny (Coffee House Press 2009) and has been published in several literary anthologies including Conjunctions, Paper Dance:55 Latino Poets, Little Havana Blues, The Norton Anthology of Latino Literature, The Oxford Companion of Caribbean Verse, A Century of Cuban Writers in Florida, Step Into A World: A Global Anthology of New Black Literature, Renaming Ecstacy: Latino Writings on the Sacred. He is the recipient of the Cintas Fellowship, State of Florida Individual Artist Fellowship, the NALAC Fund for the Arts Individual Fellowship, NewForms Florida, the Eric Mathieu King award from the Academy of American Poets. Adrian Castro is also a Babalawo, herbalist, and acupuncturist. Carolina Hospital is a poet, essayist, and novelist who teaches writing and literature at Miami Dade College where she has been awarded two Endowed Teaching Chairs, in 1996 and in 2003. Her most recent publication The Child ofExile: a Poetry Memoir was published by Arte Publico Press of the University of Houston. Her short fiction, essays, and poems have appeared in numerous national magazines, newspapers, and anthologies, including the Norton Anthology of Latino Literature, Prairie Schooner, Longman’s Literature: An Introduction to Reading and Writing; The Washington Post, The Miami Herald, Wachale:Poetry and Prose about Growing up Latino and Cool Salsa. To date, she has published five books including the novel A Little Love, under the pen name C. C. Medina, and A Century of Cuban Writers in Florida, a seminal work for understanding the cultural history of Florida. She also participated with 13 South Florida authors such as Carl Hiaasan, James Hall, Dave Barry and Edna Buchanan, in the New York Times’ best-selling novel Naked Came the Manatee. Geoffrey Philp, author of the e-book, Bob Marley and Bradford’s iPod, has also written two short story collections, six volumes of poetry, and two children's books. A multi-award winning writer, whose work explores the themes of masculinity and fatherhood in a Caribbean context, Geoffrey is one of the few writers whose work has been published in the Oxford Book of Caribbean Short Stories and the Oxford Book of Caribbean Verse. 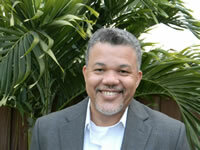 His popular blog, geoffreyphilp.blogspot.com, covers literary events in the Caribbean and Miami. 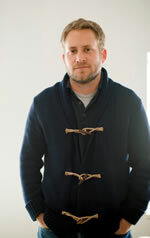 He teaches creative writing at Miami Dade College, where he is the chairperson of the College Prep. Department. The University of Miami Creative Writing Program exists because the writers and poets who attend are talented, inspired and devoted to the work of writing poems, stories and novels. We take great pride in our community because our students and alumni have gone on to do great things with their writing. Join us as we welcome home our alumni in this special USpeak homecoming event. P. Scott Cunningham is the co-founder and director of the O, Miami Poetry Biennial and the author of Chapbook of Poems for Morton Feldman (Floating Wolf Quarterly, 2011). A graduate of Wesleyan University, he is also the founder and director of the University of Wynwood, a faux-institution dedicated to advancing contemporary literature in Miami, FL. His poetry has appeared or is forthcoming in Harvard Review, Court Green, Sou'wester, Pool, PANK, McSweeney's Internet Tendency, Abe's Penny, and elsewhere. He lives in Miami, FL. 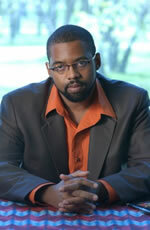 Quraysh Ali Lansana is author of They Shall Run: Harriet Tubman Poems(Third World Press, 2004) and the poetry collection Southside Rain (Third World Press, 2000); The Big World, a children's book, (Addison-Wesley, 1999); and three poetry chapbooks, bloodsoil (sooner red) (Center for the American Land, May 2009), Greatest Hits: 1995-2005 (Pudding House Publications, 2006) and cockroach children: corner poems and street psalms (nappyhead press, 1995). He is the editor of Glencoe/McGraw-Hill's African American Literature Reader(Glencoe/McGraw-Hill, 2001), and I Represent and dream in yourself, which are two anthologies of literary works from Chicago's award-winning youth arts employment program, Gallery 37 (Tia Chucha Press, 1996 and 1997, respectively). He is also co-editor of Dream of A Word: The Tia Chucha Press Poetry Anthology(Tia Chucha Press, 2006), and Role Call: A Generational Anthology o Social and Political Black Literature and Art (Third World Press, 2002). His most recent book is Our Difficult Sunlight: A Guide to Poetry, Literacy & Social Justice in Classroom & Community w/Georgia A. Popoff, (Teachers & Writers Collaborative, March 2011). Quraysh earned a Masters of Fine Arts degree at the Creative Writing Program at New York University, where he was a Departmental Fellow. He has been a literary teaching artist and curriculum developer for over a decade and has led workshops in prisons, public schools, and universities in over 30 states. Mangrove is the University of Miami's literary journal, publishing quality fiction, nonfiction, poetry, and art from current undergraduate students and recent alumni from a variety of majors and schools. Mangrove is edited and designed by an undergraduate staff and is sponsored by the Department of English and advised and managed by its MFA students and faculty. The journal publishes an online edition in the fall and a print edition in the spring. Among the wide variety of work it features, Mangrove showcases the winners of the annual literary and art contests sponsored by the English Department and Creative Writing program. Mangrove launches its second national undergraduate national undergraduate literary journal. In its first year, writers and poets from 45 universities across the country submitted work to Mangrove. Join us for this special launch. Mangrove was established as an undergraduate journal in 2008, after a group of students approached a creative writing professor about starting a literary journal. The journal relies on the many roots developed through coursework and independent exploration to celebrate the myriad of creativity that branch into the distinct modes published by the journal. 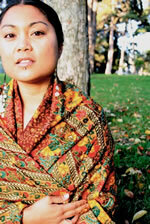 Aimee Suzara is the founder and lead artist of the Pagbabalik (Return) Project and is a Filipino-American writer, cultural worker and educator who has been writing and performing in the San Francisco (SF) Bay Area since 1999. Suzara’s mission is to create, and help others create, art that builds community, fosters healing, and provokes important questions through spoken word, theater and movement. Her first play, Pagbabalik (Return) was twice the recipient of the Zellerbach Arts Fund and was featured at several Bay Area festivals. Her current play in progress, A History of the Body, has been awarded the East Bay Community Fund Matching Commission, the Oakland Cultural Funding Program grant, and Zellerbach Arts Fund. She recently collaborated as a writer and performer with Amara Tabor-Smith’s Deep Waters Dance Theater for the Creative Work Fund recipient Our Daily Bread and was a member of Kreatibo, a queer Pin@y arts collective, whose 2004 play was selected for Curve Magazine’s Best Lesbian Theater Award. Suzara’s poetry collection, the space between, was published by Finishing Line Press; her poems have been published in journals and anthologies such as Kartika Review, Lantern Review, and Walang Hiya (Without Shame): literature taking risks towards liberatory practice (Arkipelago Books 2009), and she has been invited as a featured poet and arts educator at schools, universities and arts venues nationally, including Mt. Holyoke College, Portland State University, Stanford University, and UC Santa Cruz. Suzara has a Mills College M.F.A. and teaches Creative Writing and English at Bay Area colleges, and is a lecturer at Cal State University Monterey. She has been a Hedgebrook Resident Artist and was an Associate Artist at the Atlantic Center for the Arts Playwriting Program in 2011.